This wonderful Muhammad Ali neon artwork features boxing’s “Greatest of All Time”. The word ‘LOVE’ is enchantingly tattooed across his knuckles. 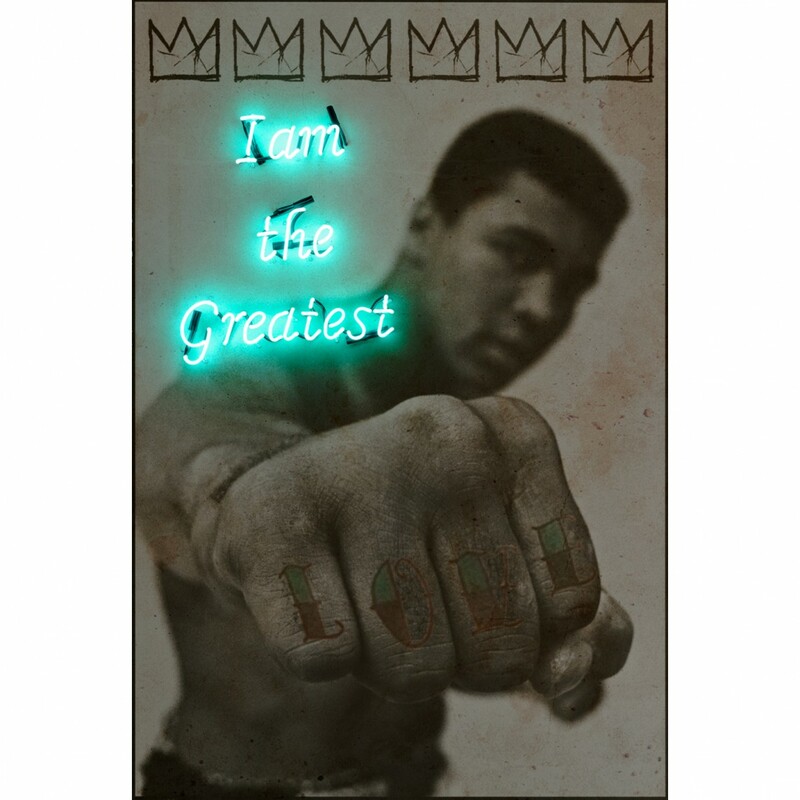 The turquoise neon lit words ‘I am the greatest’ alluding to 1 Corinthians, “the greatest of these is love”. Beautiful subtly of the merging of these two seemingly opposite worlds. This striking piece would create a statement in any interior. It would work just as well in a London bachelor pad in or indeed juxtapose in a more traditional living room environment.